Download the new Buildera Application Note AN-15004 and discover how a HOBO® MX1101 Bluetooth logger helped to predict and prevent mold in a water-damaged structure. 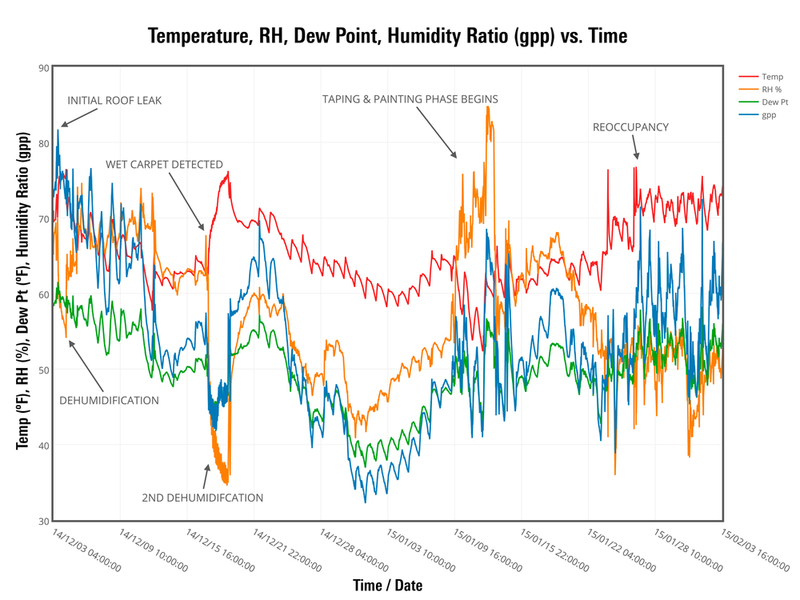 After a roof leak permeated a fifth-floor residence in a new apartment complex, a wireless data logger tracked ambient moisture over a two-month period. This application note explores the merits of relative humidity and humidity ratio as key predictors of mold risk and how continuous monitoring helped the tenants and property owner avert a serious mold problem.